Physicians have been intrigued with the idea of immunizing against cancer well before there was any coherent understanding of immune mechanisms. The most simple approach seemed to be to inject subjects with crude tumor material, and there have been well over a hundred reports from 1902 through 1990 of patients being injected with tumor extracts (1) .Few of these reports are interpretable, however. 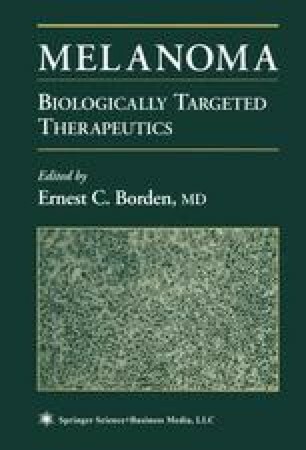 Early studies in the 1950s using inbred strains of mice showed that among chemically induced tumors, there were tumor-specific antigens that could serve as tumor rejection antigens (2,3) .However, experiments by Hewitt and colleagues demonstrated that spontaneously arising tumors, such as those seen in patients, are far less immunogenic than chemically induced tumors making it unclear whether these observations could be extended to spontaneously arising tumors (4) .This generated a question and controversy, which persists today; namely, do experiments using inbred strains of mice and tumor cell lines from artificially induced tumors have relevance to the clinical setting?